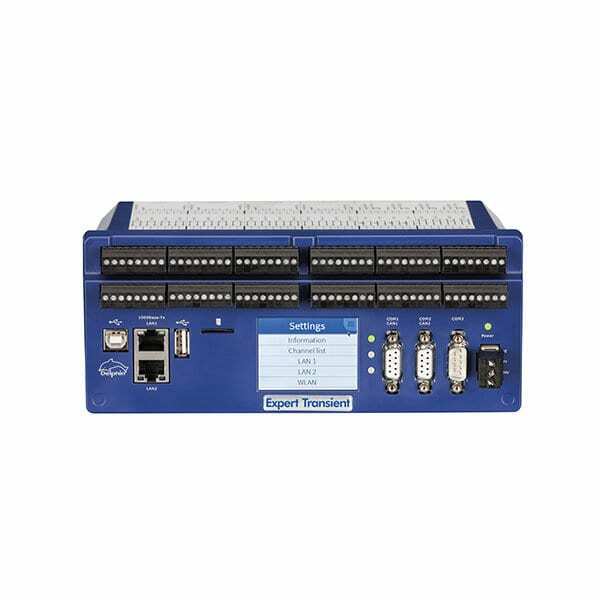 The Delphin Expert Transient ET-8 Data Acquisition System is a high speed, high accuracy data acquisition system capable of synchronously acquiring and saving analog measurement data up to a sampling rate of 50 kHz per channel in combination with digital signals. Available with 8 analog inputs as well as 4 digital inputs. It can be extended by up to 100 analog or digital inputs. The Expert Transient is suitable for fault diagnostics in machinery and plants. Typical applications include the evaluation of pressure pulses /surges, fast process monitoring and controller optimization, shock and vibration measurement, and materials research and environmental simulation. It can also be supplied in a robust mobile measurement case for field deployments in harsh environments. The standard device, equipped with plug-in terminals, is ideal for use with test stands or in laboratories. The configuration of ProfiMessage is done with the included software “Data Service Configurator/Device Configurator”. The representation of the channels is clear and intuitive operation , similar to Windows Explorer. Double-click on a channel will open a configuration dialog in which all channel properties can be adjusted. The individual configuration files are stored in XML format in the ProfiMessage equipment and can be alternatively edited with an XML editor offline. All measured values can be transferred online stores and will work on PCs or servers. The visualization or analysis is done with the ProfiSignal software dolphin or OPC Server with any software. This provides the ProfiSignal software in combination with a conventional device TopMessage up to 1000 times higher time resolution than a SCADA system. 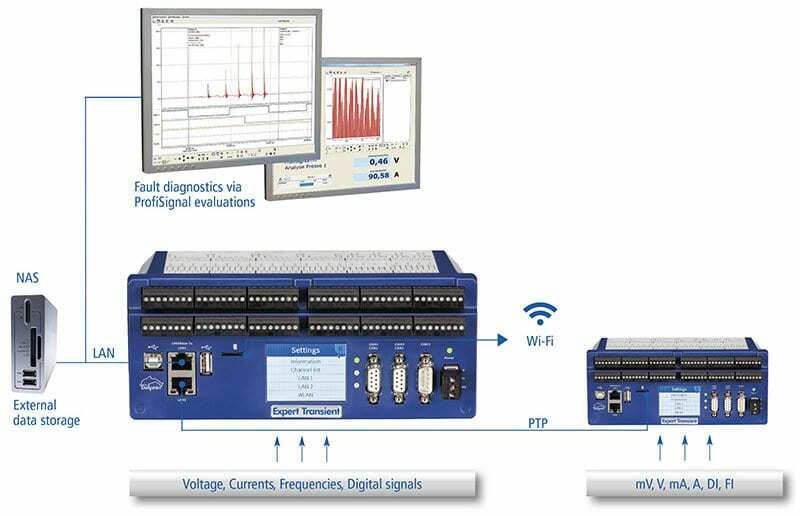 In addition ProfiSignal as universal software for data acquisition, test automation and data acquisition applications. The range of application ranging from simple data storage and visualization to a complete automation solution with reporting. Go with the three different versions, Basic and clicks ProfiSignal is suitable scalable. Monitoring and automation tasks can be realised using ProfiMessage software channels. Software channels are pre-defined function modules that users can generate and configure per mouse click and then subsequently run within the device. All functions are performed autonomously by the powerful internal processor. This guarantees full operational security for the ProfiMessage device.